We'll have the volume, with a side of tousled texture, without the salt, please! A dry formula that doesn't leave behind any noticeable residue, this texturing spray from Amika absorbs dirt and oil to provide a matte finish, but also contains glycerin and sea buckthorn berry to hydrate and lock in moisture to keep hair looking strong and nourished. 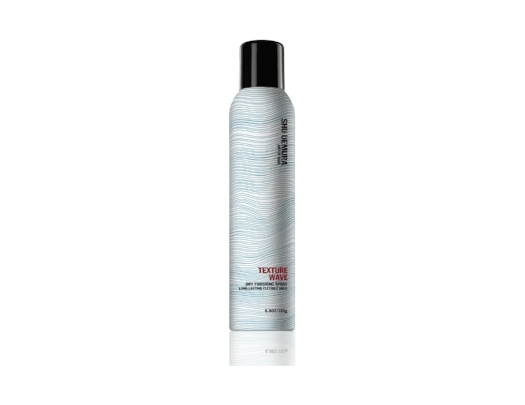 Achieve buildable texture without losing that free-flowing feel with Shu Uemura's Texture Wave Dry Finishing Spray. A mineral powder that can be used alone to hand-scrunch waves or as a finishing product if you do opt for a hot tool, it wicks oil from the roots to provide lightweight texture. It's also enriched with cotton seed oil to nourish. Shu Uemura's Texture Wave Dry Finishing Spray, $42, at Hudson's Bay. Leave your locks shiny and scented with notes of bergamot, Italian lemon, violet, and white musk with Ouai's Wave Spray. Weightless and formulated to build body and create texture, it's infused with rice protein to protect hair from solar radiation and is safe for use on colour-treated locks. Herbivore's natural texturizing mist couples aloe water to hydrate and sea salt to cleanse, detoxify and lend that fresh out-of-the-ocean volume we've come to covet daily. Coconut and vanilla essential oils add the perfect finishing touch. 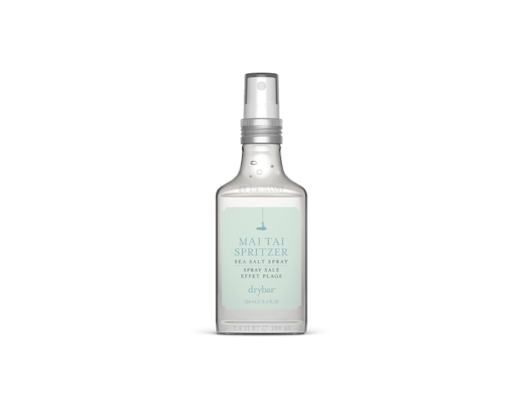 Fan of OG surf-sprays and not afraid of a little sea salt? Look no further than Drybars May Tai Spitzer. Combining real sea salt for grit and texture, aloe to moisturize, and algae to protect and reinforce the strength of your hair, this calorie-free cocktail creates just the right amount of volume while leaving the hair extra soft.